Many small and medium enterprises rely just as much on word of mouth recommendations to gain new business and to grow as they do on traditional marketing techniques. In the online world, you can consider your online reviews to be the equivalent of a word of mouth recommendation or testimonial. Indeed, research has shown that 84 per cent of people trust online reviews just as much as they would a word of mouth recommendation. 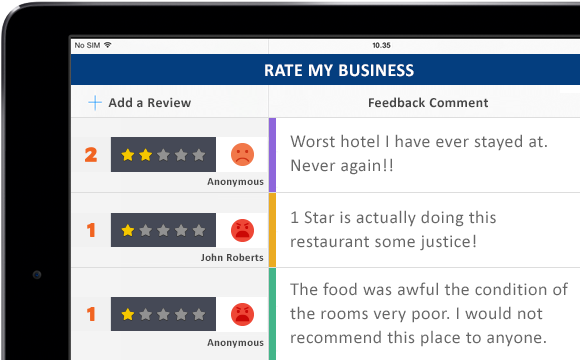 If you think that your existing online reviews are letting your business down a bit or you don’t have any at all, then read on to discover the five steps to success. By following them, any business – from tech start-ups to traditional retail enterprises – can gain a greater foothold in the online marketing war and reap the benefits for years to come. After all, around seven out of every ten customers that is asked to leave a review will do so, so long as you ask them in the appropriate manner. Timing is everything when it comes to obtaining a positive review for your business. If you ask at the get go, then it is likely to get in the way of the sales cycle and can even put people off placing an order in the first place. Obviously, if you are selling products rather than services, then it is a bit premature to ask for a review before the customer has had the chance to try out their new gadget. On the other hand you don’t want to be so laid back about requesting a review that the customer has forgotten all about their experience with you by the time you get around to it. Bear in mind that asking for a review at the appropriate time will likely lead to a positive response. If you get the timing wrong, on the other hand, then you are likely to annoy the customer and – even if you have done everything else well in the sales process – this can lead to a negative review. Given that the very last thing business owners and marketing professionals want is to generative negativity from the clients ahead of them producing an online review, you should tread carefully. It is something of a balancing act. The right moment to ask for a review will very much depend on the sort of business that you run and the way in which you handle customers. Let’s examine that a little further. According to the marketing columnist Brian Patterson, by far the best way of soliciting an online review is to ask for one in person. He cites the example of a furniture store where a member of the sales team helps customers to find their perfect sofa from those on display in the showroom. The same may be said of car dealerships and art galleries: indeed anywhere where there is a soft approach to selling and guiding customers toward the point of sale in a personal environment. Patterson says that a ‘mini-bond’ is built up throughout such sales processes which enable salespeople to ask for a review or feedback form to be completed. Of course, in business environments like these, the sales skill of the professionals involved helps to ensure the timing is right. Many enterprises of this type do well to ask about online reviews at the point ‘the paperwork’ is being sorted out. Once customers have committed to an order and perhaps the financing or delivery options are being run through, it is the perfect time to ask whether the customer would consider reviewing. Ideally, the request will come towards the end of the sales appointment or when the purchase is finalised. Never demand an online review outright. Some customers don’t like this and will go out of their way to criticise your business if you are deemed to be too pushy. Instead, only ask whether the customer would consider writing one for you. If they say they’d prefer not to, then drop it. You will only end up with a negative review if you proceed anyway. Not only does this help you to weed out negative reviews before they happen, but assists you in keeping your clients happy and focussed on the sale your are currently making. If your business is online, then it is harder to judge the exact time to request a review because of the lack of personal interactions. The screen customers see to confirm their order has been accepted is perhaps the most appropriate. Alternatively, send a post-sale email. Either way, give your clients the option to opt out of reviewing you if they wish. Few people feel positively about an online sales process which has too many pop-up screens to navigate through, a problem if you are overly keen to solicit a review or two. Finally, it is a common mistake to request a review too late in the sales cycle. Sending out a follow up questionnaire or email months afterwards can comes across as a little desperate or even fake. It may even prompt dissatisfied customers to review you in a more negative light than they otherwise would have done. Timing your request a little earlier will augment the level of positive reviews you obtain, whilst going in later will galvanise people who view you negatively to vent their frustrations publicly. If you find that you are not able to intercept negative reviews and deal with minor niggles customers have, then make sure you are asking for reviews sufficiently early in the sales cycle. Experiment with the exact timing and try to ask when you have the customer fully engaged in the sales process. After all, few customers place orders or buy items when they are feeling negatively so this is the ideal time to capture their positive feelings towards your business. Whatever you do, just make sure that you share your best reviews on your website. Now take a look at part two of this post, where we discuss the types of customer survey questions you ask. 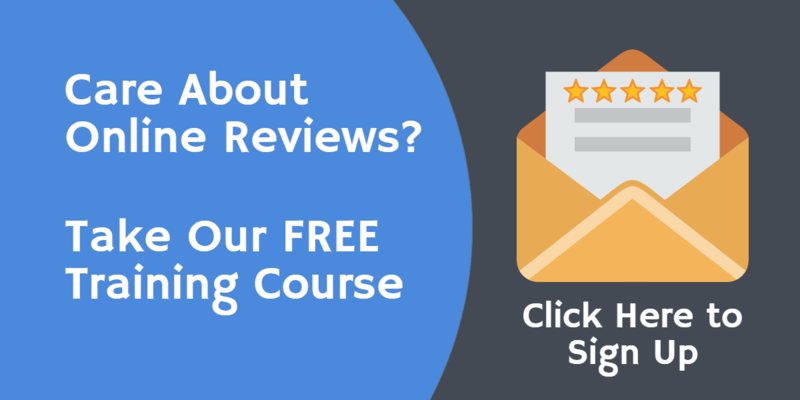 In the meantime have you checked out our free email course: 5 Steps To 5 Stars?